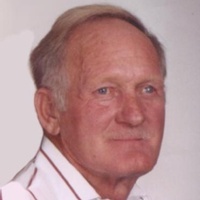 Virgil Thomas Oren Isbell, age 72 of Frenchburg, KY, passed away Wednesday at his home after an extended illness. He was born July 24, 1945 in Frenchburg, KY, son of the late Roger Thomas Isbell and Alma Irene Smallwood Isbell Harmon. He was a member of the First Church of God, Frenchburg, KY and a retired carpenter. He was preceded in death by a sister, Barbara Joan Harmon. Surviving is his wife, Minnie Brown Isbell of Frenchburg,KY. Three sons, Thomas Dean Isbell (Jamie), Wilmore, KY; Tony Owen Isbell (Melissa), Nicholasville, KY, Danny Dwayne Isbell of Frenchburg,KY. Five grandchildren, Ryan Isbell, Amber Isbell, Breanna Isbell, Anthony Isbell and Alex Isbell. Nine siblings, Sonya Carolyn Christine Combs (Pearl), Middletown, OH; Linda Dolores Harvey, Frenchburg, KY; Geraldine Madge Gibson (Ronald), Mansfield, OH; Brenda Kay Patrick (Timothy), Rita Sue Adkins (David), Sonny Roger Isbell, Timothy Tony Harmon (Teresa), Bobby Dempsey Harmon (Regina) all of Frenchburg,KY and Phillip Adrian Harmon ( Sylvia), West Liberty,KY. Funeral service 11:30am, Friday, April 6,2018 at Menifee Home For Funerals with Rev. Roger Wells and Rev. Mike Sexton officiating. Burial in Harvey Cemetery, Joe Harmon Lane, Frenchburg, KY. Visitation after 6:pm, Thursday ,Menifee Home For Funerals, Frenchburg,KY with Randy Halsey Funeral Director. Pallbearers; Ryan Isbell, Anthony Isbell, Alex Isbell, Tim Harmon, Bob Harmon and Phillip Harmon.